In terms of dealing with some of the world’s harshest weather conditions no country comes close compared with Russia. 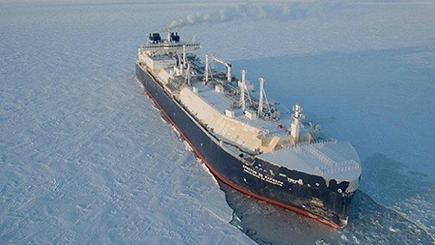 Now Russia has made it a highest priority to develop a Northern Sea Route along the Russian Arctic coast to enable LNG and container freight shipments between Asia and Europe that will cut shipping time almost in half and bypass the increasingly risky Suez Canal. China is fully engaged and has now formally incorporated it into its new Silk Road Belt, Road Initiative infrastructure . Before attending the Hamburg G20 Summit in July, China’s President Xi Jinping made a stopover in Moscow where he and Russia’s President Vladimir Putin signed the “China-Russia Joint Declaration on Further Strengthening Comprehensive, Strategic and Cooperative Partnership.” The declaration includes the Northern Sea Route as a strategic area of cooperation between China and Russia, as a formal part of China’s Belt, Road Initiative (BRI) infrastructure. For its part, Russia is investing major resources in development of new LNG ports and infrastructure along the route to service a growing maritime traffic passing through its Arctic territorial waters. The Russian Federation, under the direct supervision of President Putin is building up the economic infrastructure that will create an alternative to the Suez Canal for container and LNG shipping between Europe and Asia. In addition, the developments are opening up huge new undeveloped resources including oil, gas, diamonds and other minerals along the Russian Exclusive Economic Zone,transversing its northernmost Siberian coastline. Officially Russian legislation defines the Northern Sea Route as the territorial waters along the Russian Arctic coast east of Novaya Zemlya in Russia’s Arkhangelsk Oblast, from the Kara Sea across Siberia, to the Bering Straitthat runs between far eastern Russia and Alaska. The entire route lies in Arctic waters and within Russia’s Exclusive Economic Zone (EEZ). Preliminary geophysical studies confirm that vast oil and gas reserves exist below the sea floor along the Northern Sea Route of Russia’s EEZ waters, increasing interest of the Chinese government in joint resource development with Russia, in addition to the potentially shorter shipping times to and from Europe.For China, which sees increasing threats to its oil supply lines by sea from the Persian Gulf and via the Straits of Malacca, the Russian Northern Sea Route offers a far more secure alternative, a Plan B, in event of US Naval interdiction of the Malacca Straits. The United Nations Convention on Law of the Seas (UNCLOS), to which Russia and China are signatories, but the USA not, defines an exclusive economic zone to be an area “beyond and adjacent” to a state’s territorial waters and provides the state with “sovereign rights…[over] managing the natural resources” within the zone. China does not contest Russia’s EEZ rights, but rather seeks to cooperate in its development now formally within the project. The other interest in Russia’s Northern Sea Route is for more economical and faster shipping. In August this year in a test run the Russian LNG tanker, Christophe de Margerie, delivered Norwegian LNGfrom Hammerfest in Norway to Boryeong in South Korea in just 19 days, some 30% faster than the traditional Suez Canal route despite the fact that the vessel was forced to go through ice fields 1.2 meters thick. The Arctic Sea part of the journey was made in a record six and half days. The Christophe de Margerie is the first joint LNG tanker and icebreaker in the world, built to specification for the state-run Sovcomflot for the transportation of LNG from the Yamal LNG project in the Russian Arctic by a South Korean shipbuilder. Russia is also cooperating with South Korea in development of the shipping capabilities of its Northern Sea Route. On November 6, Russia’s Minister for Development of the Far East, AleksandrGalushka, met South Korea’s Minister of Oceans and Fisheries, Kim Yong-suk. The two countries agreed to pursue joint research into investments for an Arctic container line along the Northern Sea Route. The joint development will include shipping hubs to be created in each end of the Northern Sea Route–Murmansk in the west and Petropavlovsk-Kamchatsky in the east. Murmansk, bordering the northern regions of Finland and Norway, has ice-free access to the Barents Sea year around. Korea’s Hyundai Merchant Marine plans test sailings of container ships along the Northern Sea Route in 2020 with container ships capable of carrying 2,500-3,500 TEU (Twenty-foot Equivalent Unit, a measure of container size) on the route. In July 2016, an historical shipment of two major industrial components was made from South Korea to the new Russian Arctic port at Sabetta and from there, on the rivers Ob and Irtysh to the South Ural city of Tobolsk. Murmansk itself is site of one of Russia’s largest infrastructure projects. Major construction work is currently on going to complete the so-called Murmansk Transport Hub which includes new roads, railway, ports and other facilities on the west of the Kola Bay. Murmansk is already a key hub for reloading coal, oil, fish, metals and other cargo from the European part of Russia. It will serve as the main western gateway for the Northern Sea Route to Asia. The Russian Federation is also completing a new port at Sabetta on the Yamal Peninsula. The Yamal Peninsula, bordering the Arctic Kara Sea, is location of Russia’s biggest natural gas reserves with an estimated 55 trillion cubic meters (tcm).By comparison, Qatar gas reserves are calculated at 25 tcm, Iran at 34 tcm. The main developer of the Sabetta Port on Yamal is Novatek, Russia’s largest independent gas producer, together with the Russian government. Sabetta Port is also site of the major new Yamal LNG Terminal that before end of 2017 will begin transporting Yamal gas via the Northeast Sea Route to China. When at full capacity, Sabetta Port will handle 30 million tons of goods a year making Sabetta the world’s largest port north of the Arctic Circle, surpassing Murmansk. Novatek hasalready pre-sold all its production volumes for Yamal LNG Terminal gas under 15- and 20-year contracts, most to China and other Asian buyers. Yamal LNG is far from the only area where Russia’s Novatek is cooperating with China. On November 4, Novatek announced it had signed further agreements with Yamal partners China National Petroleum Corporation and China Development Bank for the Arctic LNG 2 project that is potentially larger than the Yamal LNG project. The Arctic LNG 2 project of Novatekon Gydan Peninsula, separated from Yamal by the Gulf of Ob,is to begin construction in 1919. The Yamal LNG Terminal is a $27 billion project whose lead owner is Russia’s Novatek. When the US Treasury financial warfare targeted Novatek and the Yamal project in 2014 following the Crimea referendum to join the Russian Federation, China lenders stepped in to provide $12 billion to complete the project after China’s state oil company, CNPC bought a 20% interest in the Yamal LNG Terminal project. The China Silk Road Fund holds another 9.9% and France’s Total 20% with Novatek having 50.1%. Opening the potentials of Russia’s Northeast Sea Route to full commercial LNG and container freight traffic flow from the west along the Siberian Arctic littoral to South Korea and China and the rest of Asia requires extraordinary technology solutions, above all in the field of ice-breakers and port infrastructure along the deep-frozen Arctic route. Here Russia is unequalled world leader. And Russia is about to expand that leading role significantly. In early 2016 Russia commissioned a new class of nuclear powered ice-breakers called Arktika-class operated by Atomflot, the ship subsidiary of the giant Russian state Rosatom nuclear group, the world’s largest nuclear power construction company and second largest in terms of uranium deposits producing 40% of the world’s enriched uranium. The new Arktika icebreakeris at present the world’s most powerful icebreaker of its kind and when ready for sailing in 2019 will be able to break 3 meters of ice. A secondArktika-class nuclear icebreaker is due to sail in 2020. At present Russia has a total of 14 diesel as well as nuclear-powered icebreakers in construction in addition to the just completed Christophe de Margerie.All those 14 new icebreakers are being constructed at shipyards in the St. Petersburg area. Now the Russian government is about to dramatically escalate its development of icebreaker technologies with the clear aim of developing the shipping and resources along its Northeast Sea Route passage as a national economic priority. In 2016 President Putin made a personal priority of overseeing building up of an ultra-modern state-of-the-art shipbuilding center in PrimorskyKrai in the Russian Far East to balance the development of western yards around St. Petersburg and buildup Russia’s economic region around Vladivostok as Russia’s economy, reacting to the incalculable Washington and its sanctions, turns increasingly to self-sufficiency in vital areas. The Far East shipbuilding is centered ona $4 billion complete reconstruction of the old Zvezda shipyard in BolshoyKamen Bay owned by the Russian state’s United Shipbuilding Corporation. PrimorskyKrai is also home to the Russian Navy’s Pacific Fleet. When the giant new Zvezda yard is ready in 2020, it will be Russia’s largest most modern civilian shipyard, focusing on large-tonnage ship construction of tankers including LNG tankers, Arctic icebreakers and elements for offshore oil and gas platforms. On November 18 Russia’s Kommersant business daily announced that Russia’s president Putin wants to turn infrastructure development for the Northern Sea Route over to state nuclear corporation Rosatom. According to the report, Putin approved the idea, which was put to him by his prime minster, Dmitry Medvedev, and which would turn all state services for nautical activities, infrastructure development, as well as state property used along the corridor to Rosatom’s management. Among other implications the decision to make Rosatomsolely responsible for the Northern Sea Route development suggests that nuclear-powered ice-breakers are to play a far larger role in the Northeast Sea Route developments. According to the report, which has yet to be formally confirmed, the Rosatom role was proposed by Rosatom head Alexei Likhachev and Deputy Prime Minister Dmitry Rogozin. Rogozin, sanctioned by Washington,has been Deputy Prime Minister in charge of Defense Industry of Russia since 2011. If the new proposal becomes law, Rosatom will oversee all infrastructure and energy building along the 6,000 kilometers of the route through its arctic division. According to the source, that will mean Rosatom oversees just about everything, from building ports, to building communications and navigation infrastructure, as well as coordination scientific research. Under the plan a new Arctic Division of Rosatom would centralize ports previously controlled by the Ministry of Transport as well as non-nuclear icebreakers operated by Rosmorport and Russia’s nuclear icebreaker fleet. The NSR Administration, the state institution responsible for safety of navigation, would also become part of this new “Arctic Division” at Rosatom. It would be a move to greatly streamline the present fragmentation of responsibility for different aspects of Russia’s Northeast Sea Route transportation development, one of the highest priorities of Moscow and a key building block in development of the China-Russia collaboration in BRI. 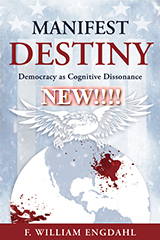 Taking all into account what is very clear is that Russia is developing cutting-edge technology and infrastructure in some of the most extreme climate conditions in the world, in building its economy new, and that it is successfully doing so in collaboration with China, South Korea and even to an extent with Japan, contrary to the hopes of Washington war-addicted neoconservatives and their patrons in the US military industrial complex.